The NFL, your Atlanta Falcons and the Georgia Dome are dedicated to providing a great and safe game day experience. To ensure fan safety, the National Football League has implemented programs throughout the league to maximize the security of its patrons and facilities on game day. A vital part of this security effort is the patron screening procedure which was initiated in 2005 and stipulates that you and your belongings may be searched upon entry in to the stadium. The NFL policy states that by rendering your ticket and entering the stadium, you consent to such searches and waive any related claims that you might have against the NFL, its member clubs, their affiliates and stadium landlord, or their agents. If you elect not to consent to the searches, you will be denied entry into the stadium. The fan inspections in some instances may cause longer lines so fans are encouraged to arrive early to the game to minimize delays entering the Dome. The sold out Georgia Dome wants to ensure that all of the 72,000 excited Falcons fans can enjoy the game day experience to the fullest. In response to fan feedback, and as a concern for safety, a best practice among stadiums encourages fans to enter and remain on their ticketed level. This allows everyone to access their seats, concessions, restrooms and merchandise areas safely and conveniently. Upon entering the Georgia Dome main entrances this season fans will be directed to proceed to the appropriate level designated on their ticket(s); either Lower (100), Mezzanine (200) or Upper (300) level. Fans that approach the Dome from the East side of the building (Falcons Landing, Marta, World Congress Center, CNN Center) and possess a 300 level ticket are recommended to enter the building at either at Upper Gate D or Upper Gate C; those 300 level patrons that choose to enter the Dome at Lower Level Gates A, B, C or D will be directed to the nearest internal walking ramp that will allow access the 300 level. Patrons with 200 level tickets will be directed to the nearest internal staircase allowing access to the 200 level. Patrons with 100 level tickets can access the 100 level via any gate. Access to the main concourse on the 100 level will be limited only to patrons with 100 level tickets. This fall the NFL will continue Flexible Scheduling for the final eight weeks of the season. During those eight weeks the NFL has the flexibility to move the start time of any Sunday home game to 4:05pm or 8:15pm. Our games on Nov. 18th vs. Tampa Bay and Dec. 30th vs. Seattle are eligible for the 4:05pm or 8:15pm move. 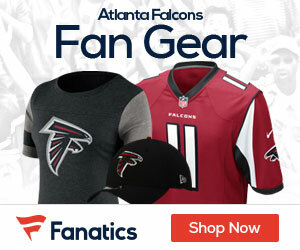 Check atlantafalcons.com for Flex Scheduling bulletins. Season ticket holders’ complimentary issue of the Atlanta Falcons Yearbook will be available for pickup at any Georgia Dome Service Center (located near the entrances inside the Dome) starting with the 1 regular season home game on Sunday, September 23rd. Your season ticket holder ID must be presented when picking up your yearbook. Hi just off subject . just wanna ask anyone know what is a good company provide good identity theft protection out there ?